Peter Quill just couldn’t control himself and had to punch Thanos right in the face, resulting in the snap heard around the world. If you like the idea of an all-powerful gauntlet that lets you do whatever you want, try this Infinity Gauntlet Rings Bracelet on for size. 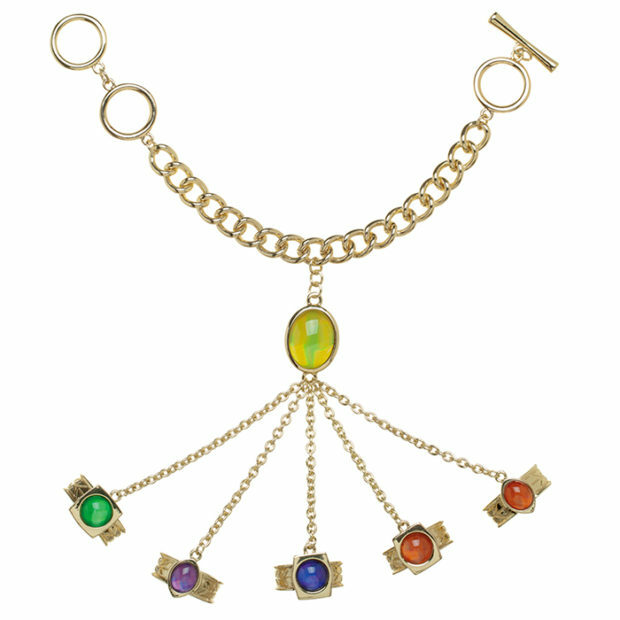 This version of the Infinity War Gauntlet consists of a chain bracelet with colorful faux gemstone rings attached by smaller chains. The whole thing is gold colored but isn’t gold. Its made of nickel-free zinc alloy. It’s listed as “one size fits most” and can be yours for $34.99 over at ThinkGeek. Just don’t use it to vaporize half the world’s population.